Policy professionals and the public who care deeply about the success of the United States’ environmental protection enterprise recognize that current challenges to the system demand both careful reflection and concerted action. Many changes over recent years have brought the United States to a point where our environmen­tal system may be ready for some fundamental realignments, including changes in states’ capacity, technological capabilities, and business behavior and expectations. 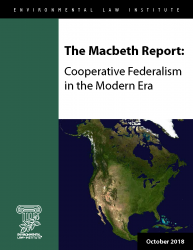 Amid such changes, ELI initiated “The Macbeth Dialogues” in honor and memory of the late Angus C. Macbeth, one of the great leaders and thinkers in environmental law. The initiative brought together leading experts to discuss the state-federal relationship in the environmen­tal sphere as it exists today in hopes of providing insight as to the direction we should take going forward. 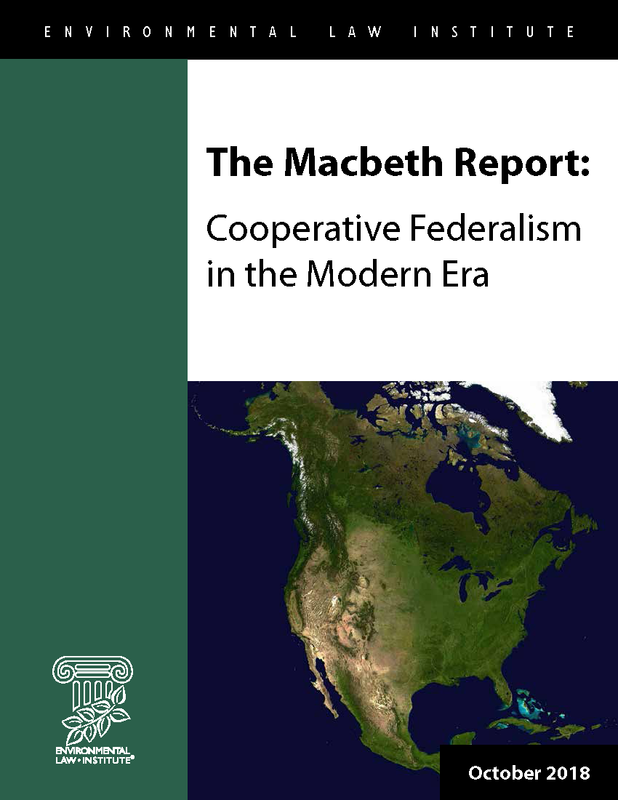 This report, which stems from The Macbeth Dialogues, discusses areas of potential consensus and offers recommendation in seven areas, including enforcement, in hopes of advancing the dialogue on the future of cooperative federalism in the environmental arena.